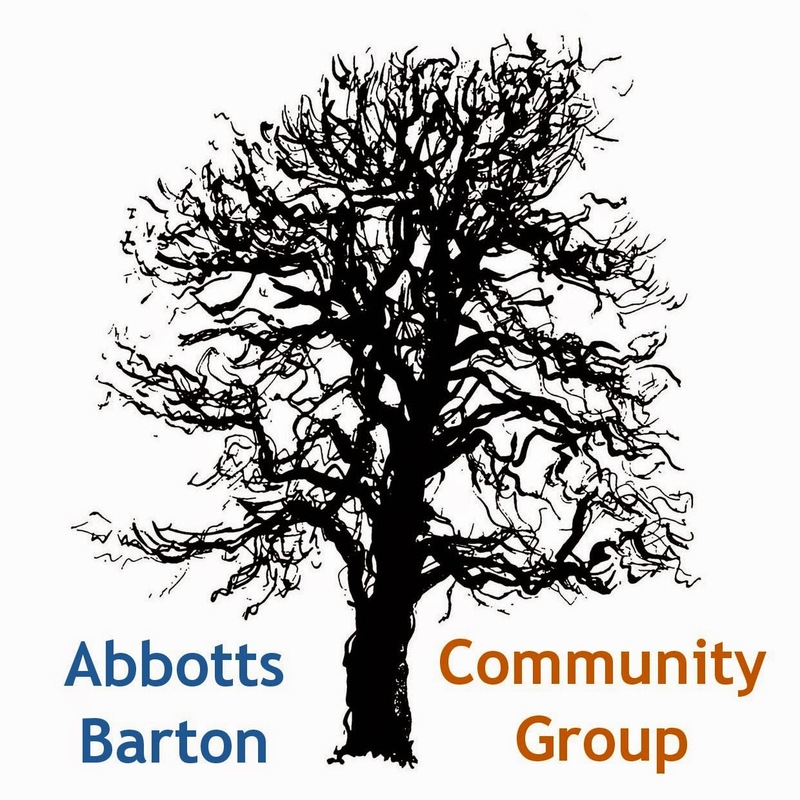 Welcome to the first Abbotts Barton trail created by the Abbotts Barton Community Group. The aim of the trail is to help you discover more about some of the local area and its links to the countryside. You can start at any point and walk in either direction. 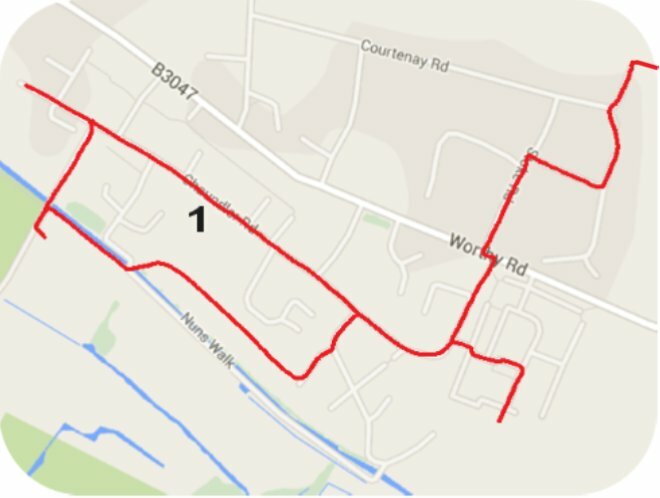 With this map are 14 photographs taken at various points around this route. If you wish, you can mark the location of each photo on the map by writing the photograph number where you think it was taken from. 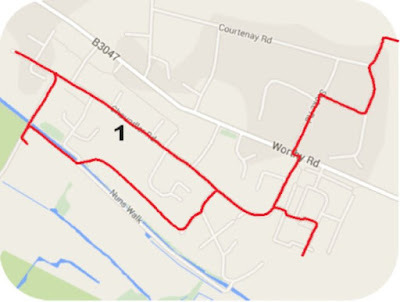 The location of photograph 1 is marked on the map as an example. 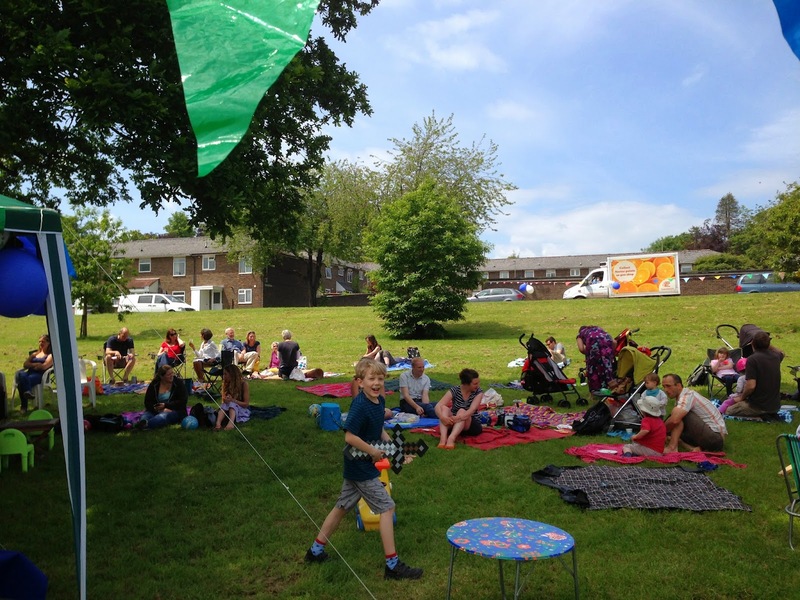 Children can bring a completed copy of the map to any of the Abbotts Barton Community Group events to claim a small prize.